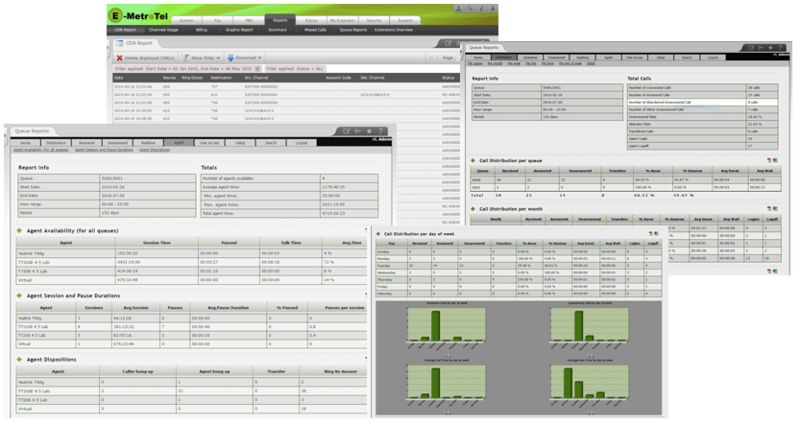 Powerful contact center features, advanced real-time reporting, and work anywhere capability. 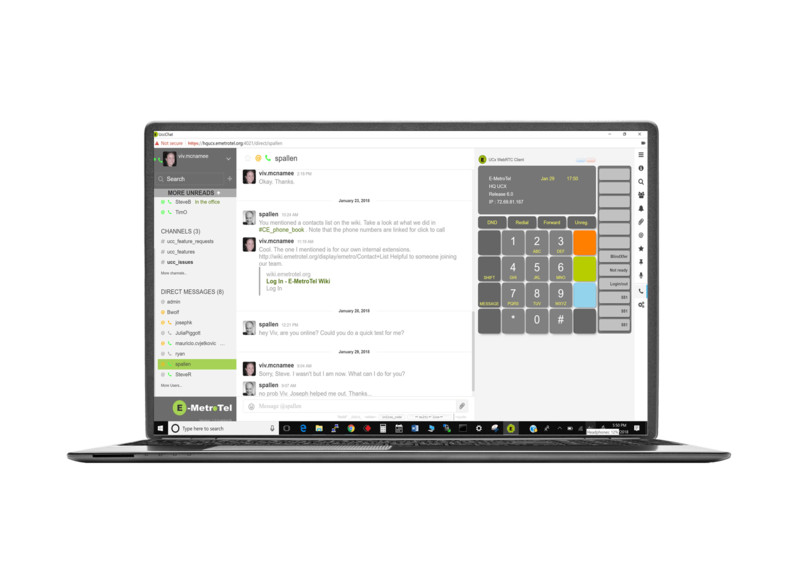 Your agents can also provide faster and better customer service with our free Infinity One browser or client based IM, chat, and voice application. Agents can work from anywhere, in the office, from home, or on the road. 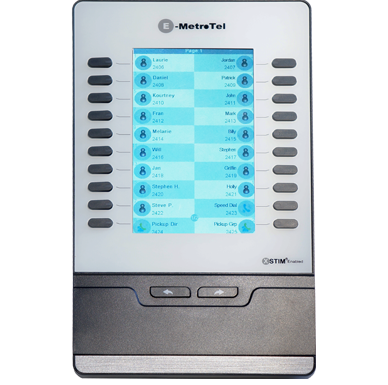 With our powerful Infinity portfolio everyone in your facility can stay in complete communication. 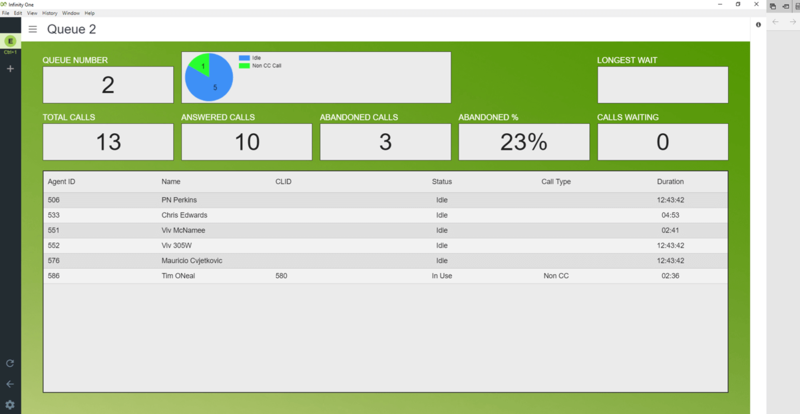 The portfolio provides Voice, Private Chat, Direct Messaging, and Wallboard for your Contact Center. 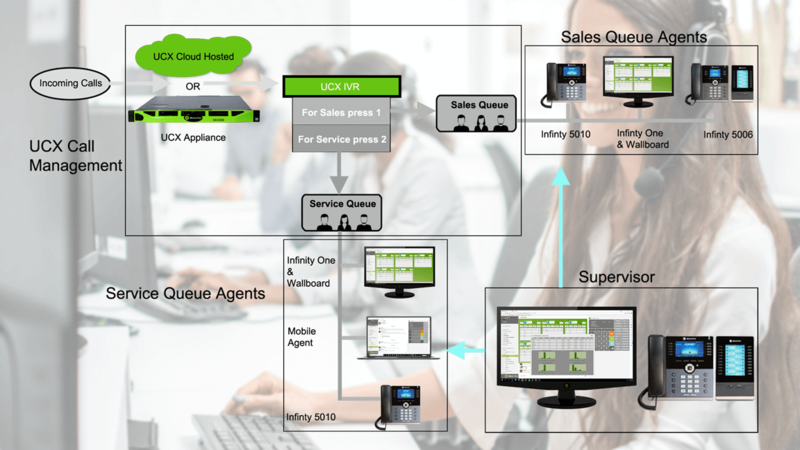 Infinity One access is available via a browser with no S/W to install, or as an installable client. 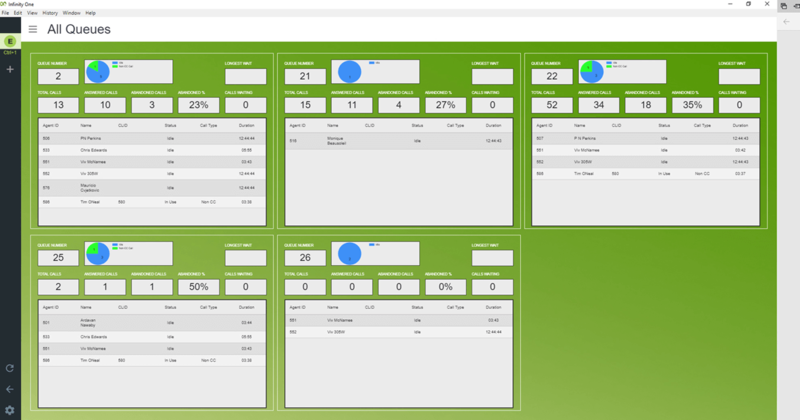 Your management & staff, and your agents can access the platform via their Desktop PC, Mac, Laptop. 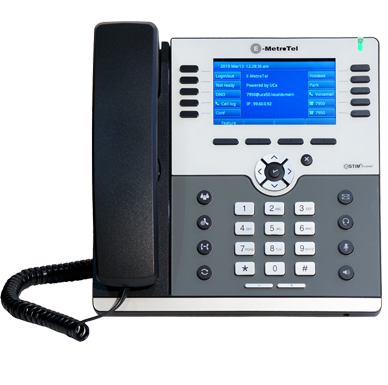 Or your agents can use our Infinity 5000 telephone portfolio for communications. 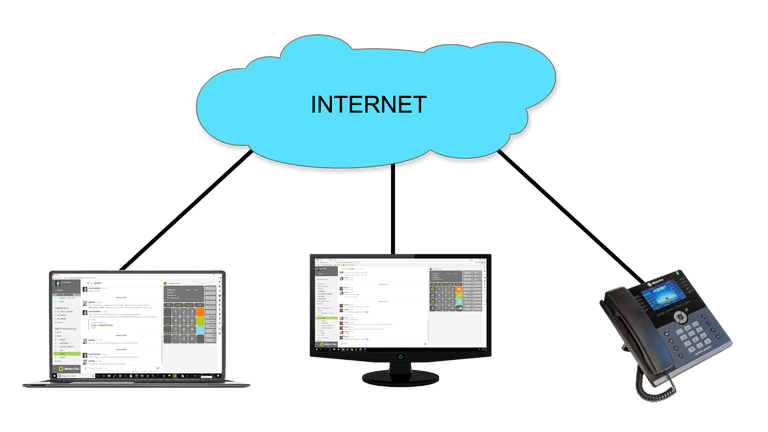 Infinity One Soft Client - Your agents can use Infinity One communications including voice, IM / Chat and status via their desktop Windows or Mac device or their Windows or Mac laptop devices. 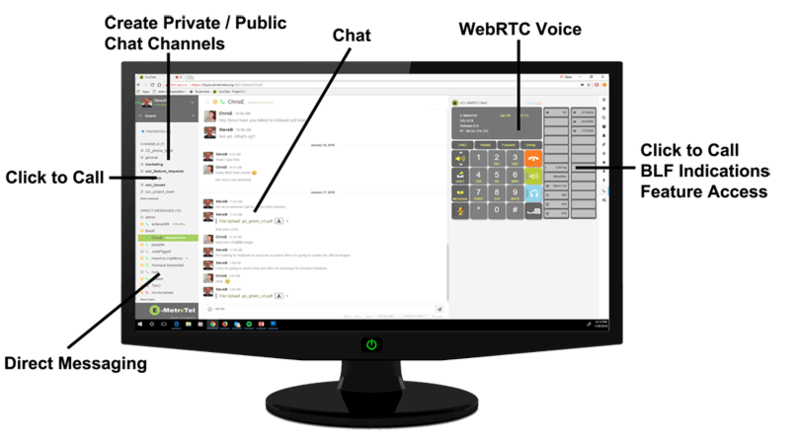 Browser or Client Communications in your office. Browser or Client Communications when on the road or out of the office. 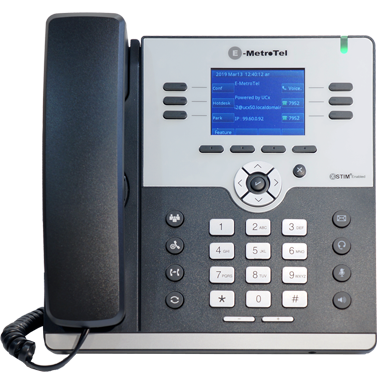 Infinity 5000 – Office Telephones - Your agents can use our Infinity 5000 series telephones in conjunction with the Infinity One application or as standalone devices.